I just saw a comment on another site that ERExtreme is really a minimalist blog claiming to be a personal finance blog. This is probably true. 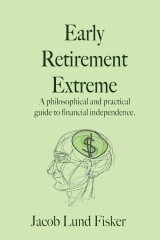 I have not been writing much about personal finance, since for me it is mostly a solved problem. Live in a consumer culture where salaries are high, but defy the norm, don’t spend very much, and get wealthy in short order. Naturally this means that consumer-career options such as 529, 401k, credit cards, snowballs and flakes, become less relevant as these are all designed with endless workweeks in mind. Thus in this blog I talk about how to get off the treadmill and what to do once you’re off, that is, if you are interested; when it comes down to it, many people prefer the comfortable and predictable misery of their day jobs (I know some of you claim that you love your jobs -good for you :- ) ). If you’re new here, here are mt favorite posts for March. Here’s my favorite pots for February. All books. The outgoing books comprise one sale on amazon and 5 paperbackswap outgoings. The incoming is mostly due to a box of cookbooks I got on freecycle. Consequently, this month I increased my footprint. Buh! next post: Are you prepared for stagflation? 3 users responded in " My favorite writings of March 2008 "
I like the perspective you bring to your blog. Your subtitle sums it up: Financial independence, frugality, self-sufficiency, ecology, capitalism, and voluntary simplicity. I tune in because you talk about how these things connect. Keep it up! Minimalism is a lesson we could all learn to a greater extent. I enjoy your point of view and that’s why I read. Plenty of other regular PF blogs out there… no need to follow the herd when you have your own style. Funny, I wrote that line in LJ’s INTJ community the other day. I enjoy the blog heartily.